There is so much to discover from our doorstep, whether it be days out exploring the historic walled city of Chester to discovering enchanting villages, cruising through some of the most interesting inland waterways from Tattenhall Marina leaves you with endless choices of things to see and do. 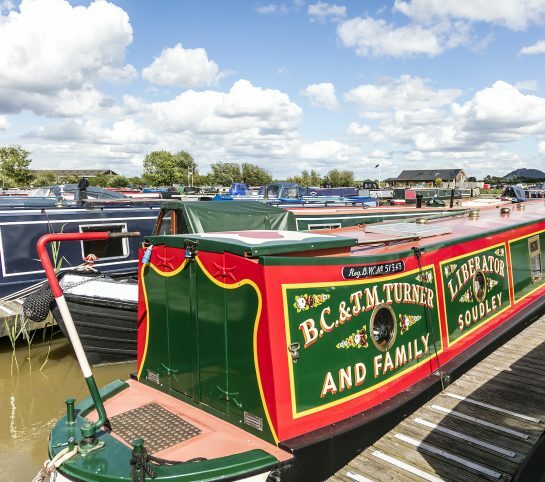 Whilst the surroundings of our beautiful Marina are truly remarkable, what makes Tattenhall Marina such a great place is the variety and diversity afforded by the local area. Tattenhall Marinas locality will keep you coming back time and time again. One of the most popular attractions for moorers here at Tattenhall is the Four Counties Ring. A cruising route which takes in 92 locks in 97 miles and takes around 60 hours to complete. As the name suggests, the route takes in four of England’s counties so you’ll see a good mix of the North West countryside, pretty villages and industrial architecture. Cruising for 8 hours a day, the ring can be completed in a week, but to make the most of this spectacular cruising route, we recommend a full two week excursion. There is also access to several other popular canal routes from the Shropshire Union Canal on which we are based, including the Llangollen canal and the Trent and Mersey. What would a holiday be without a spot of shopping in the local area? Luckily for you, Cheshire and its villages are well known for its shopping offering. With many different brands on offer here, you’ll be sure to find something to suit your needs. 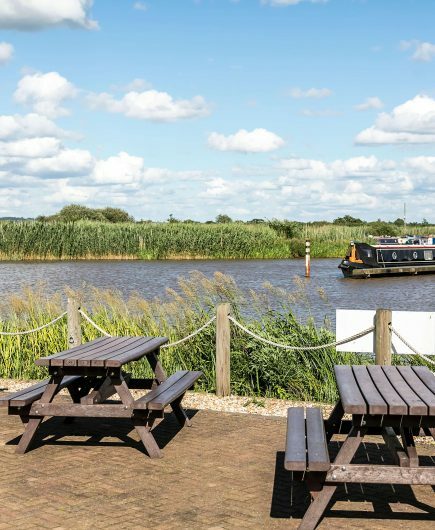 The nearby village of Tattenhall, which is a short 10 minute drive or 30 minute walk from the Marina, will cater for your needs with a pub, restaurant, shops, pharmacy and doctors surgery, making sure you won’t be short of your everyday home comforts. Local to the marina is the award-winning Cheshire Ice Cream Farm, which sells a huge variety of ice cream including salted caramel and sticky toffee pudding, all of which are made on site. It also houses a great children’s play area for the kids. 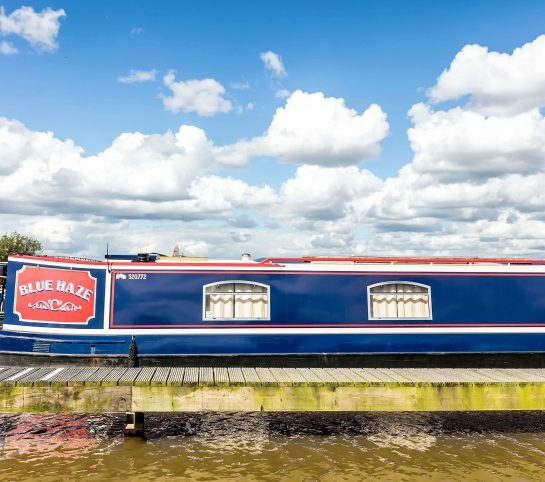 Once you have set sail and left the marina, the pretty market town of Chester is under a days cruise from Tattenhall Marina and offers shopping, dining and sightseeing. Chester is also home to fantastic attractions that are definitely worth making time in your day to stop and visit. You can experience the thrill of horse racing at Chester races. Chester Zoo is home to some of the worlds most exotic animals and has been a big attraction for locals and tourists alike for many years. Tattenhall Marina sits in the shadow of the mighty Beaston Castle, an old ruined English Castle that sits atop a crag overlooking the local countryside. The castle also houses some enchanting woodland forest trails that are home to many different species of wildlife, presenting the perfect opportunity to go for a country walk should you wish. If golf is more your game, then Aldersey Golf Course is only a quick 10 minute drive from the Marina and offers golfing in a pristine and clean countryside environment amongst the rolling hills of the Cheshire county. If you are seeking something more child friendly then The Crocky Trail is highly recommended. It contains a mile-long adventure trail with rope swings, slides, climbs and chain bridges for them to explore. There is also a restaurant on site so the kids can fuel up ready for more action and adventure, before returning to the marina to wind down. 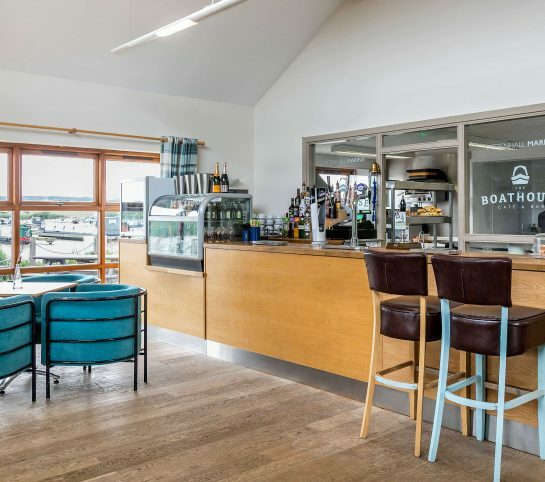 We host a fantastic range of events for moorers at Tattenhall Marina throughout the year at the Boathouse Café Bar.